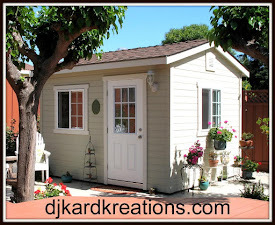 I couldn't wait to get back in the Playhouse! While I was away, I received an email from Wida Miller of Beachorado that my name was "up" in the game she started a few months ago, called CASADIA. Sort of like the old-fashioned game of "telephone," the idea is for each participant to CASE (copy and share everything) the card of the person who was just before them in the chain. Wida: This story all started when I saw a card Jennifer Rzasa CASED which was made by Laura Bassen. I decided to CASE Jennifer's card. I had a fun idea to start a card chain by CASEing cards, hence the name Case+idea=CASADIA. This page is dedicated to seeing how far the chain can go. If you would like to participate, please click on Wida's Beachorado link and it will give you all the details. I believe I am the 40th participant in the chain! My assignment was to CASE the card that was last posted, which was created by Adrienne Crist of Paper Diva Scraps. This challenge has given me the opportunity to meet new card artists and isn't that always a treat?! 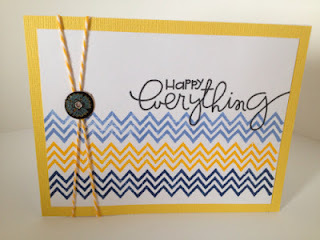 I have to tell you that I feel really lucky to be following Adrienne because I recently purchased the chevron dies from "My Favorite Things" and I was excited to use them. Squee! 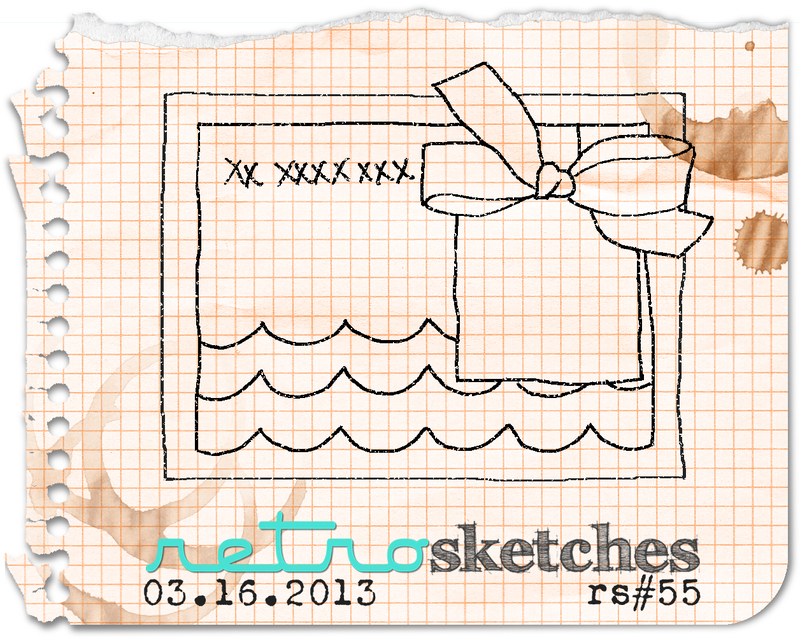 As it happens, the sketch this week at Retrosketches worked perfectly for my CASADIA card. 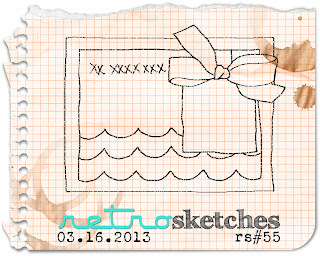 The sketch is based on this fabulous card by Laurie! If I'd had the time, I would have made all my lined patterned paper line up, but crookidy is what we'll have to be content with today. Instead of using a button, I used a round SU! stamp of thanks. 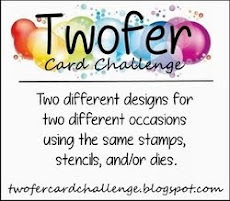 Thanks to Adrienne's post, I am also linking up my card over at Moxie Fab World: Chevron Challenge! Double squee!! End of card talk. I'm sorry I've missed all your news and wonderful creations this week. Let me know if there is something you really want me to know or see and I'll make sure I check it out! I did miss you! I'm exhaustipated, but very fulfilled from helping my sister stage her home for sale. We started with new carpet throughout. We took four rooms which had some furniture and we rearranged and repurposed and replaced. We did little things like update the lamps and add new throw pillows. Then we took three rooms which were completely bare and minimally filled them with new and gently used and Aunt Ique's furniture. If was fun shopping my sister's stash and being innovative. We pretended we were being filmed for an HGTV episode. We used an air mattress up on milk crates for a guest room bed and covered it with a beautiful white chenille spread so no one would know what lie beneath. We applied lots of greenery. In another room we set up a baby's bed, added a rocker, and some adorable pictures we bought at a thrift store. It was hard at times for my sister not to add more wall art, more furniture, more kitch, but she was very receptive to many card design approaches. We used the rule of three. She learned about "less is more," which will allow prospective buyers to envision their stuff in her home. She embraced the Darnell Rule of "life's too short; you have too much crap." At the end of each evening we went over our lists, crossing off the "dones," and making new "to-do" lists. This was a long process which rejuiced our energy because of the feeling of accomplishment it gave us. I said one evening, "Some people are risk-takers ~ we are list-makers." She found it quite profound, as anyone would at 2:45 a.m. So that was it. I hope her house sells quickly for her. It is quite impressive that we made over three-bedrooms, two-bathrooms, and a bonus room in three and a half days, especially considering my sister worked two of those days! When our recently widowed sister and niece arrived on Friday, they were given the grand tour and gave us their resounding seal of approval. For the next day we simply enjoyed each other's company until it was time for me to leave. And now it's time for me to leave Bloggerville and tend to home duties. Mister, bless his heart, kept the house clean and the cupboards full, so I only have to excavate Mail Mine and climb Mount Laundry. Welcome back, You were missed. Your card is nicely done, and a great case...way to go...Thanks for sharing that great website where the idea came from. Welcome back Darnell! I missed you. What a fun idea the CASADEA is - I just sent off an email to Wida to see if I can join in. I love your chevron card! You are a Diva darling...staging and creating amazing. Well done. Lucky sisters..blessing abound. I'm sure it will sell quickly. Well done. BTW Fabulous card. Hey Darnell, love this and think that is such a cool concept to keep the case going. Your card is amazing, love that chevron. Great to see you back. I'm glad you're home safely! Missed you! Love the chevrons and what a wonderful idea to keep the CASE going! Welcome back. I'm back, too. Your chevrons are great. I'm sure you did a great job on staging. So many talents you have. Happy to hear things went well with your sister and will pray that her home sells quickly for her. Yay! You're back! Sounds like you guys could have done a television show accomplishing that much in 3 days. Any before and after pics to share? Awesome card! The fun colors seems to reflect the happiness that you carried home with you from your time spent with your sisters! Welcome home. Sounds like you accomplished a lot. Love your card for CASADIA--it is so fun to see how the chain is evolving, and I love the spin you put on your link. Love the card. I didn't notice anything crookedy until you mentioned it. The card still looks fab. Love these pattern paper chevrons! Great card! 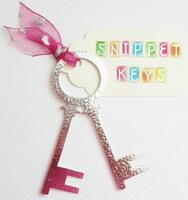 What a brilliant idea Dippy - beats a blog hop hands down! Love your CAS(e) of Adrienne's card - serendipity that it also fitted the sketch challenge. Love those chevrons but tut tut for not lining up the lines....,.hehe. Sounds like you had a really busy time at your sisters - you should have taken some photos....sounds like you did an amazing job. Bet Mister was pleased to see you back. Welcome back, Darnell! It sounds like it was a very productive trip! I love your card, wonky lines and all. In fact, I think if you lined up those lines, it wouldn't be quite as nice. ;-) Great CASE!! First off, sounds like you were a super productive helper. Wishing your sister luck with the sale... As for Casadia - ain't it fun? Love your chevrons and the twine. Oh and the multi-colored sentiment. Looks like you've got nice weather to welcome you home. Lucky. So glad to see you back safely, Darnell! Sounds like your time with your sister was productive and fun. I hope her house sells quickly!!! LOVED your chevron card! It may have given me an idea . . . Sounds like you had an awesome and productive time with your sis! Welcome back! I love your Chevron card--so colorful and cheery! Beautifully done, Darnell! Get out of here this card is amazing! Wow I so love what you did with this one. I would not want to follow you. Today is the feast day of Saint Joseph. I have heard many people say if you pray to him your house will sell also if you plant…. if you want to know give me an email I will say a prayer to him for you. Welcome home, Darnell, I've missed you ... lovely to have you back! What an amazing amount you squeezed into your time away ... hope the house sells without a hitch. Loved reading your post and glad you were able to help you sister by CAS'ing her house. It's bound to sell quickly now! Darnell, welcome home!!! I missed seeing your posts but sounds like you were quite the busy bee and I am sure your sister was so grateful to have you there. I too love your CASADIA, so fun and your take on her card is simply stunning! Again, welcome home! Your card is stunning. I love that chevron die and the colours look amazing. Oh wow.. what a fab blog! and do you know what a MOO is? I can't believe I missed this post Darnell! Your card is just gorgeous and I think lined up perfectly. Fab card and all those colours go wow together. Hugs Mrs A. Really cool card, darnell! I quite like how things arent perfectly lined up! And what a great sister you are! Quite a lot of work, but in this market you need it. Glad you still had some time to relax together! Love the card. I just had to come see how the chevron die worked.... couldn't wrap my pea brain around it. My little condo is still for sale (going on three months now). And I really could clear out more of the clutter. Being a crafter that's just hard to do! Although with the weather getting warmer I can now move more things to my storage unit in town and organize what I put in there. 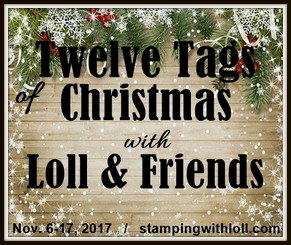 I like the idea of a list -- yep, need to make a few! Wecome back Darnell! Your card is terrific!!! The crisp white panel looks fantastic against your vibrant chevrons.